AUGUSTA, Maine ? 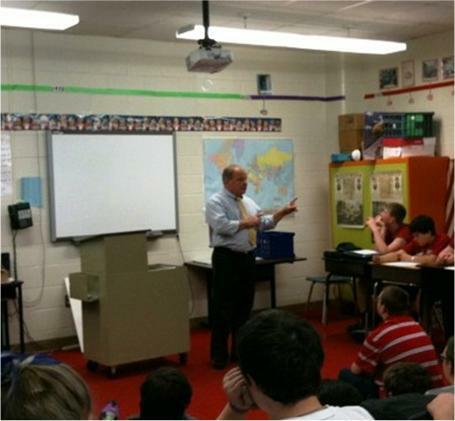 State Archivist, David Cheever speaks to Ms. Abigail Wood?s 8th grade Social Studies at T W Kelly Dirigo Middle School in Dixfield on March 21, 2012.? Mr. Cheever?s presentation focused on Maine's role in the Civil War and specifically on people from Dixfield and surrounding towns who were involved in pivotal events.